We have said this before, but Medicare can be confusing. It’s no wonder people make Medicare mistakes when enrolling or selecting plans. But sometimes these mistakes can end up being costly. AARP has compiled a list of the top ten mistakes made by seniors signing up for Medicare. Some mistakes are easily avoidable. As always, refer to an expert if you have questions or you want the peace of mind you are in good hands. Earning 40 credits by paying payroll taxes at work — about 10 years’ work — ensures that you won’t have to pay premiums for Part A services (mainly hospital insurance) when you join Medicare. But you don’t need any work credits to qualify for Part B and Part D), provided that you’re 65 or older, and a U.S. citizen or a legal resident who’s lived in the United States for at least five years. Signing up at the time that’s right for you is critical. If you don’t, you risk late penalties, in the form of surcharges added to your premiums for all future years, and delays of several months before coverage kicks in. Part B is optional, so you are not obliged to enroll. But you should carefully check with your retiree plan to see how it fits in with Medicare. In many such plans, Medicare automatically becomes primary coverage and the plan pays only for a few services that Medicare doesn’t cover. In that case, if you fail to sign up for Part B when you’re required to, you’ll essentially have no coverage. COBRA allows you to continue on your present employer’s health care plan after your job ends, usually for about 18 months. Full retirement age for most people is now 66, which will gradually increase to 67 for those who were born after 1959. But if you want to avoid late penalties, you need to sign up for Medicare at age 65, unless you have health coverage from your own job or from your spouse’s current place of employment. Why pay Part D premiums if you need no medicines? Part D, like all insurance, provides coverage when you need it, but doesn’t allow you to wait to sign up until the need becomes urgent. And when you do finally enroll, you’d risk late penalties permanently added to your Part D premiums. You may have read about “open enrollment” and gotten the idea that this is the only time you can sign up for Medicare. Not true! In Medicare, open enrollment (Oct. 15 to Dec. 7 each year) is only for people who are already in the program and want to change their coverage for the following year. If you’re coming into Medicare for the first time, you get your own enrollment period. The best way to pick a plan is according to the specific drugs you take, because Part D plans do not cover all drugs and they charge widely differing copays, even for the same drug. You can compare coverage and costs for your own drugs among different plans by using the plan finder program on medicare.gov or by calling Medicare at 800-633-4227. 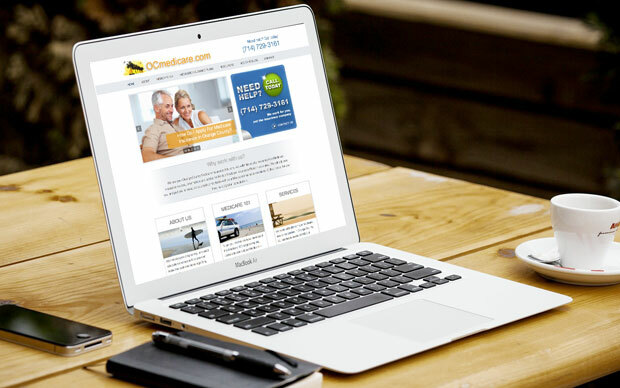 Medigap supplemental insurance is extra coverage that you can choose to buy privately to cover some or most of your out-of-pocket expenses in traditional Medicare, such as deductibles and copays. But to get the full federal protections, you need to buy it at the right time and you must be 65 or older. This important document comes in the mail each September if you’re enrolled in a Medicare Advantage plan (HMO or PPO) or a Part D prescription drug plan. It specifies what changes the plan will make in its costs and coverage for the following year. You can then compare it with other plans during open enrollment (Oct. 15 to Dec. 7) and switch if you want. Failing to read the notice can result in nasty shocks on Jan. 1 if you stay with a plan that hikes its charges. Save yourself the headache and money by educating yourself about Medicare. Our experts are standing by to help you make the best choices for you!